Ahead of the February 16 presidential election, former President Olusegun Obasanjo will in the coming days embark on foreign trips where he will market Atiku Abubakar, the presidential candidate of the Peoples Democratic Party (PDP), to the international community on why he thinks he will make a good president of Nigeria if elected. 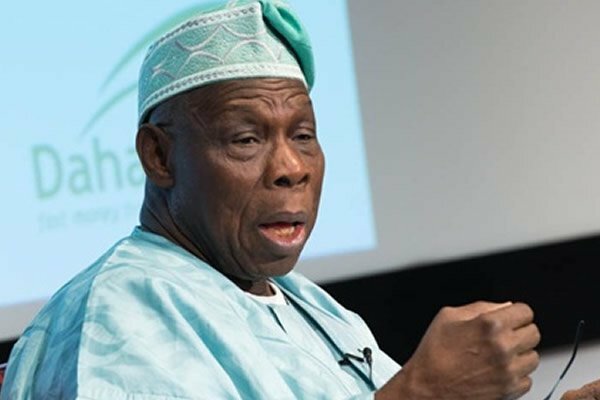 According to Obasanjo’s aide, the former president who has not hidden his disdain for President Muhammadu Buhari’s presidency is expected to visit leading countries and international organisations such as the United States, EU and the United Nations “where he will appeal to them to take special interest in the forthcoming election and also canvass for a leadership change to save Nigeria, Africa’s most populous nation, from the brinks of collapse caused by the Buhari presidency”. Speaking on why Obasanjo has not been visible at the rallies of Atiku as he has always done with former candidates he endorsed, the aide said Obasanjo believes Atiku has the support of Nigerians already. “The former president believes Alhaji Atiku Abubakar has national appeal and he is loved by Nigerians. Atiku, a former vice president, is already a known public figure who needs no introduction to Nigerians. You can see the show of love to him by Nigerians everywhere he goes. From the youths to the elderly, men and women, Nigerians are yearning for Atiku and they want him to preside over the affairs of the country come May 2019. 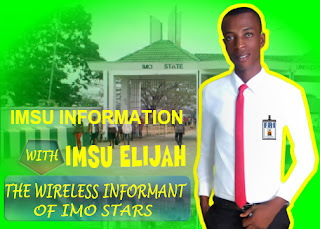 “So, there is no need for Baba (Obasanjo) to follow him about on his campaign. Atiku and the PDP can take care of that and from what we are seeing, they are doing a fantastic job. “As an internationally acclaimed and highly respected former president whose voice carries enormous weight in the international community, Obasanjo’s focus for now is to market Atiku to the international community and convince world leaders that Atiku’s presidency will usher in a new dawn for Nigeria and reposition the economy. “So, from what I know, the former president will soon embark on foreign trips where he will not only drum up support for Atiku but also appeal to the international community to take special interest in the presidential election, especially after he has gathered that the Buhari administration has perfected plans to rig the election”, he said. Speaking on the development, the PDP said any action taken by Obasanjo and Nigerians in rescuing Nigeria from the mis-governance of the Buhari administration is welcome. Kola Ologbondiyan, the party’s National Publicity Secretary, said it will be a good thing for Nigeria if the former president can take the message across the globe. “Whatever action is taken by Nigerians on the tenure of President Muhammadu Buhari and even the plot of his self-succession will be welcome. As we speak, President Buhari has demonstrated that he is incompetent and that he does not have the capacity to govern this nation. “All those angling for his reelection are doing it for selfish purposes and not on the conviction that he has performed well and will do more in the next four years. “So, if former President Olusegun Obasanjo who is a lover of Nigeria, who is very patriotic and has made tremendous sacrifices for the unity and cohesion of our nation believes that he needs to take this message across the globe, it is all well and good”. In a related development, Prof. Itse Sagay (SAN), Chairman of the Presidential Advisory Committee Against Corruption (PACAC), on Tuesday said Obasanjo’s comments are unbecoming of an elder statesman and former president of a country. In a statement made available to Daily Independent, Sagay said Obasanjo through his attitude to presidents who succeeded him has clearly shown that he is addicted to power and is suffering from power withdrawal syndrome. “The status of an ex-president is one of quiet dignity, respect, discretion, decorum, discipline and restraint. Obasanjo does not have a single one of these qualities. We have had a number of former heads of state, namely, Gowon, Shagari, Babangida, Abubakar Abdusalami and Jonathan. All of these former heads of state have exercised discretion, restraint and self-discipline in relation to their successors, but not Obasanjo”. Prince Tony Momoh, a former Minister of Information, came down hard on Obasanjo, describing him as a loser and national nuisance who is abusing freedom of expression. Momoh, one of the national leaders of the ruling All Progressives Congress (APC), also said Obasanjo’s recent outburst that President Buhari is behaving like the late head of state, Sani Abacha, and plotting to rig the forthcoming presidential election is exaggerated. “Looking at Obasanjo, my own take is that he has established himself as the most present former head of state in the history of Nigeria. He is present and vocal in every regime. “He was present during Shagari’s time, he was present during Buhari’s first coming between 1984 and 1985, he was present during Babangida’s era between 1985 and 1993, he was present during Abacha’s time from 1993 to 1998, he was present during Abdulsalami Abubakar’s time, he was present during his own regime when he worked with Atiku Abubakar, whom he said can never be anything but has now come to be his agent. “He was present during Umaru Yar’Adua’s time, he was present during Jonathan’s time and he is also present now. So, there is no time he has not shown his presence at any regime and God has given him good health for him to be able to be active”. But looking at his records, he has shown to the average person that he is a loser and unfortunate nuisance. Obasanjo is national nuisance. “To him, there is no other person apart from Obasanjo. He is very active but wants to continue to be in power when he is no longer in power”, he said.